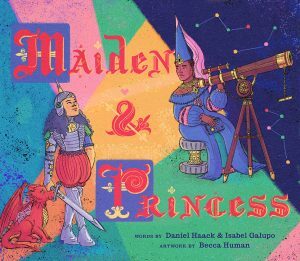 In this modern fairy tale, a strong, brave maiden is invited to attend the prince’s royal ball, but at the dance, she ends up finding true love in a most surprising place. Once in a faraway kingdom, a strong, brave maiden is invited to attend the prince’s royal ball, but she’s not as excited to go as everyone else. After her mother convinces her to make an appearance, she makes a huge impression on everyone present, from the villagers to the king and queen, but she ends up finding true love in a most surprising place. This book is published in partnership with GLAAD to accelerate LGBTQ inclusivity and acceptance.